Archbishop Joseph Kalathiparambil was born on October 6, 1952, in Vaduthala, a suburb of the city of Cochin in Kerala, India. Bishop Joseph was ordained a priest on March 13, 1978, by Archbishop Joseph Kelanthara of the Verapoly Archdiocese. He is specialized in Canon Law from Rome and was appointed Vice Rector of Collegio San Paolo in Rome from 1984 to 1989. Later he moved back to Kerala and was appointed Chancellor of the Archdiocese of Verapoly on August 15, 1989. He served as the Chancellor for the Archdiocese from 1989 to 1996. He was granted the title of Chaplain of His Holiness, Monsignor, in 1989 by Pope John Paul II. On November 6, 1996, he was made the Vicar General of Archdiocese of Verapoly. He was advanced to the papal Prelacy of Honour on January 31, 2001. He served as the Vicar-General of the Archdiocese from 1996 to 2002. He was nominated Bishop of Calicut on April 19, 2002, and was consecrated on May 19, 2002. 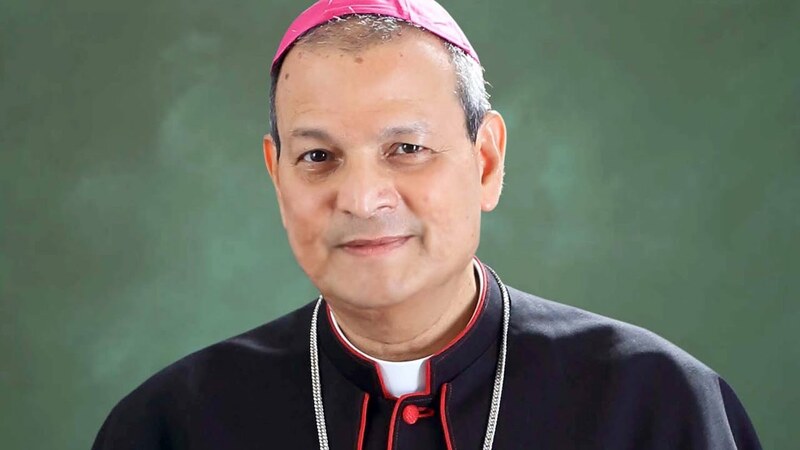 He served as the Bishop of Calicut for almost 9 years and was then appointed by Pope Benedict XVI as the Secretary of the Pontifical Council for the Pastoral Care of Migrants and Itinerants on February 22, 2011. On March 5, he was also appointed as a Member of the Congregation for the Evangelization of Peoples. Dr. Joseph Kalathiparambil was appointed as the Archbishop of Verapoly by His Holiness Pope Francis on October 31, 2016. His formal installation as Archbishop of the Archdiocese of Verapoly took place on December 18, 2016. Cardinal George Alencherry, Major Archbishop of the Syro-Malabar Church, and Cardinal Baselios Cleemis, Major Archbishop of Trivandrum were a part of the installation ceremony. The motto of the Bishop’s Coat of Arms is “Love is the greatest of all” (“Super Omnia Caritas”) (I Cor. 13: 13).